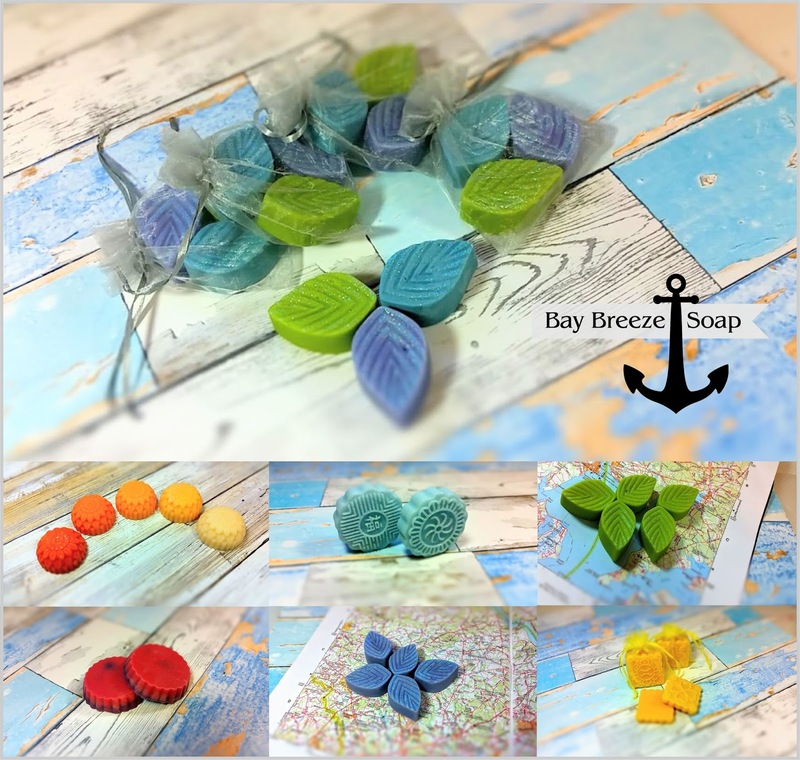 Bay Breeze Soap: Love Love Love Wax Melts! Love Love Love Wax Melts! I first heard of wax melts from my sister who was supplementing her Christmas mad money by making and selling them. They smelled lovely, lightly scenting the room. At that time she was using the little melt units with votive candles. Since then I've rediscovered the wonders of having wax melts in my home. I have two warmers, both electric and with a deep 3 inch bowl. Love, love love these wax scents!! I'm making wax melts now and there are several at our etsy store to choose from. Black Lavender, Vetyver, Fierce Blue, Summertime, Honey Shine, Pineapple and Night Glory Sage. All of my wax melts are chunky and large- just the way I like them at home! My wax melts, also called wax tarts, are made with soy wax, beeswax and quality fragrances I purchase from Bramble Berry. If you haven't tried wax fragrance at home yet- you are in for a treat. The wax melter, often called a Candle Warmer, is much safer than I'd given it credit for. Seems to make a fragrance last 24 hours. They run with very low heat, would not cause a fire. The wax too will not cause a fire. Way safer than a scented candle. Let all that worry go away in your head. Wisely you place the warmer in an area with low traffic and it rewards you day after day after day with the pleasant scents you add. Visit our new etsy store HERE. You'll see our cold process soaps too. like a liner in your heated wax bowl. Could be a silicone cupcake mold, could be a foil "boat'. I use a tin 3" mini pie pan. Works great and easy upkeep.